Addiction is in nerves, not only for sweets as Diwali is approaching, but for blogging as it gives a food blogger that vigor and charm to bewitch the foodie world. This time I'm writing with immense love for a vivacious girl who blogs in a happening way at UK, Rasoi and Me. She is one of my favorite bloggers who lures with her beautiful writing skills and then those breath-taking pictures. 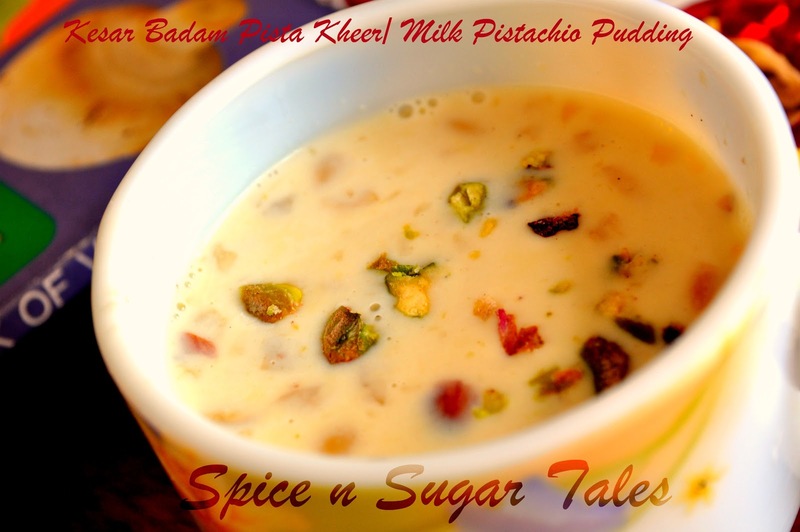 I'm delighted to bring in this Kesar Badam Pista Kheer recipe for her 'Be My Guest' series. 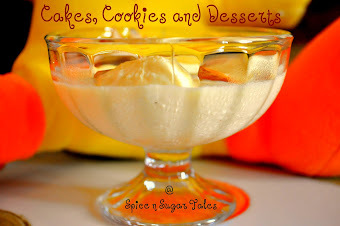 Get to her fantastic blog for utterly-butterly recipes to tempt your mind and entice your taste buds. For the recipe of this delicious-looking kheer, please make your cursor run on this link. Saffron is used as medicine Cough, Asthma, Fever, Epilepsy Patients, Pimples/Acne and Skin diseases, Alcoholism, Tuberculosis, Cataract and skin diseases. Great article….!!! Nice to know about new things with helping concept. Thanks for all of your time & work. Hope you always write this blog. Looks so creamy and delicious.